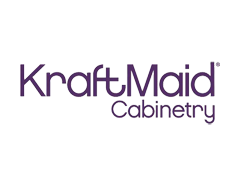 Kraftmaid cabinets is an industry leader and one of the largest built-to-order cabinet manufacturer in the United States, helping more customers create the home of their dreams than any other cabinet manufacturer in the world. KraftMaid is committed to the needs of each customer. Kraftmaid cabinets are assembled here in the United States. With more than 1.5 million square feet of manufacturing facilities in Northeast Ohio, they bring you the same kind of hand-crafted all-wood, dovetail drawer boxes and I-beam constructed cabinets that were sold from their modest shop over 40 years ago. 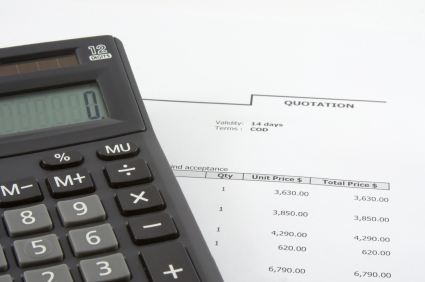 With semi-custom cabinetry, you get to enjoy customizing your cabinetry design without the steep prices and extended lead times that often go with fully-customized cabinets. Kraftmaid is 100% built-to-order. Through state-of-the-art construction methods, the finest materials are used to build each cabinet to your exact specifications. You choose your door style and the type of material for your semi-custom kitchen cabinets; Kraftmaid’s standard cabinetry is available in maple, cherry, birch, hickory and oak finishes. Then, you complete your cabinet design with your choice of finish and decorative hardware. 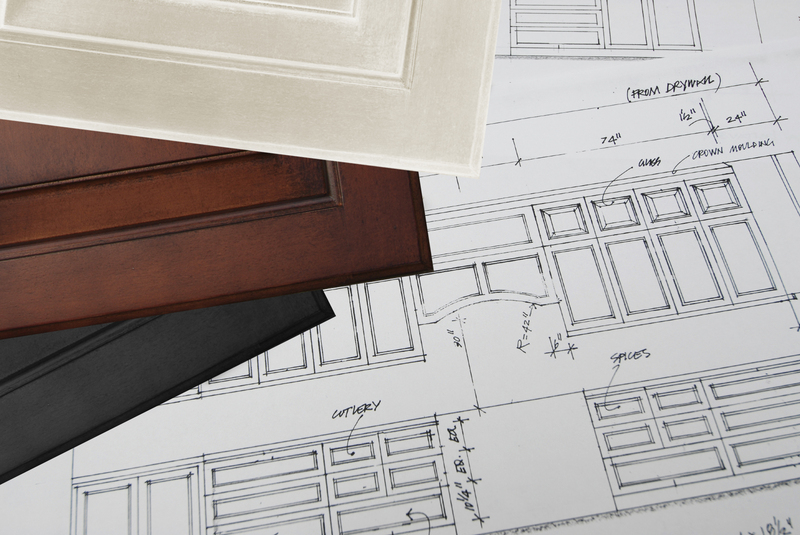 In addition, Kraftmaid offers a variety of decorative moldings to complement your cabinetry. Cabinet doors are the most visible part of your cabinetry and key factors in defining your style and bringing your personality to life. With this in mind, Kraftmaid offers many unique door styles for you to choose, including square, arch, slab, raised and recessed panel options. When choosing your door style, you’ll also want to consider the overlay of the door. Overlays affect how much of the cabinet frame shows and can change the appearance of your space from traditional to contemporary. Kraftmaid finish techniques heighten the beauty of wood’s organic characterisitics and showcase natural beauty. Each finish technique creates a unique furniture look, while the 14-step fine furniture process and hands-on craftsmanship give each piece of cabinetry its own distinctive style. To complete the finish process, the DuraKraft topcoat is applied, oven-cured and hand-sanded between coats for a beautiful, long lasting finish. Beautiful and striking hardware makes a big impact and is often a focal point on cabinetry. Customize the look of your cabinetry with your choice of more than 100 new decorative hardware options in stylish new on-trend finishes. Kraftmaid hardware is now organized into collections of coordinating knobs and pulls making it easier to select the perfect finishing touch to your home. Many of the hardware collections are available exclusively from Kraftmaid and are specially crafted to coordinate with door styles and finishes for the ideal accent, every time. Add a personal touch with decorative enhancements, and make a dramatic difference to the look of your space. Kraftmaid offers many levels of molding, from basic to premium, to meet your style preferences. Moldings are made from the same solid wood as our cabinetry and finished to match. When it comes to cabinets, Kraftmaid has more to offer than just beautiful kitchen options. We can help you create an elegant master bath or a chic powder room with a wide variety of choices to personalize your space. With Kraftmaid, you can customize your bath to meet your individual storage needs. Start with the basics by choosing a vanity with a single door, double doors or a combination of doors and drawers. To increase your storage capacity, add tall linen cabinets, wall cabinets, medicine cabinets and a wide array of Harmony storage solutions that help keep you organized. When designing your bath, don’t forget about the details that really make it your own such as decorative molding and beautifully framed mirrors. With thousands of choices and endless customization, Kraftmaid offers everything you need to take beautiful cabinetry beyond the kitchen and bath. Whatever room you dream about designing, Kraftmaid will help you make it a reality. Whether you long for a beautiful dining room hutch, efficient butler’s pantry, walk-in wardrobe closet, efficient laundry room or hardworking home office, Kraftmaid can help you create a custom look in every room of your home. You can create a room that has the perfect blend of function and beauty with Harmony storage solutions. Exclusively from Kraftmaid, Harmony storage solutions offer more than 200 options that are functional yet attractive. You can bring balance to your life by organizing cabinetry, controlling clutter and saving space. With the addition of Harmony storage solutions, cabinetry looks great on the outside and works smart on the inside. 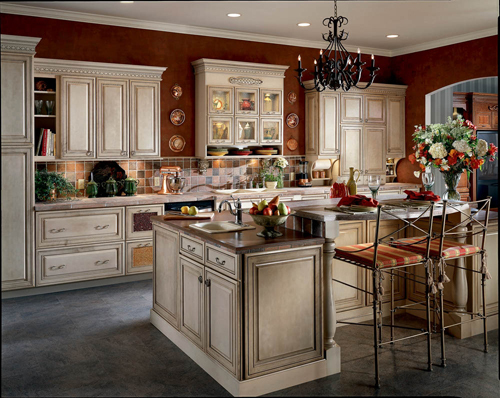 Made with some of the highest quality features in the industry, Kraftmaid cabinetry is made to last a lifetime. Detailed craftsmanship, exceptional quality and stringent manufacturing standards go into every product, giving you the best value available in fine cabinetry. In addition, you can rest assured that you’re gettinng the highest quality because Kraftmaid cabinets are backed by a Lifetime Limited Warranty for as long as you own them. Visit our Cabinet Specials page to learn about our current discounts and deals on Kraftmaid Cabinets.